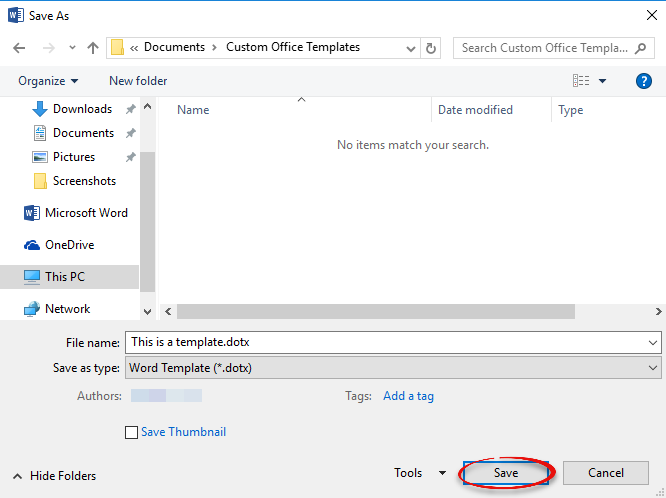 If you would like to save an existing document as a template, you can do so by saving it as a .DOTX or .DOTM file to the Templates folder. This process also works in Word 2013 & 2010. 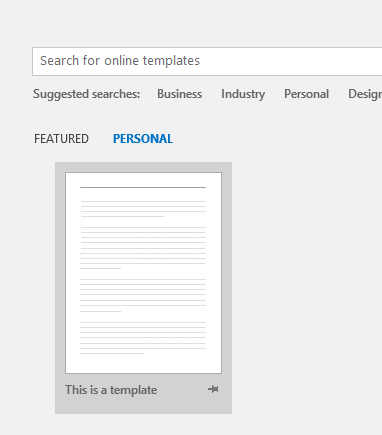 Step 1:Open or create the document that you wish to save as a template. 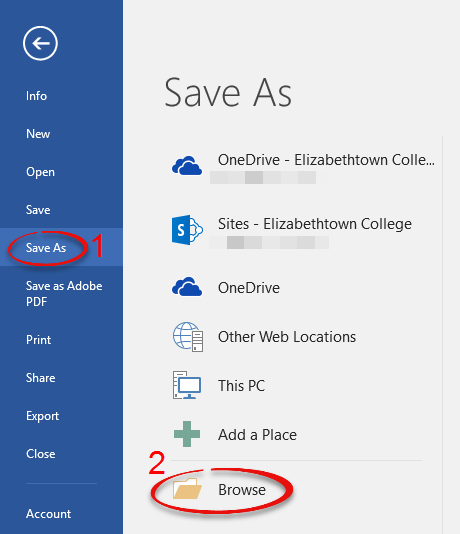 Step 2:Under the File tab, click Save As, then Browse. 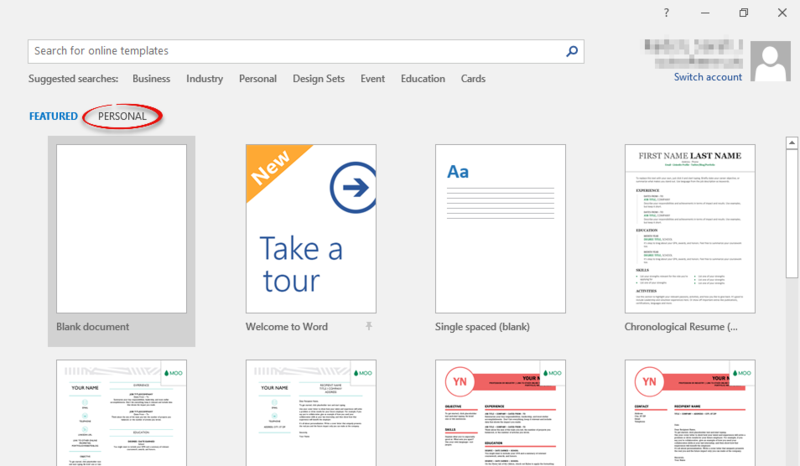 Step 3:Click on Custom Office Templates. If it is not there, you will have to show hidden folders. 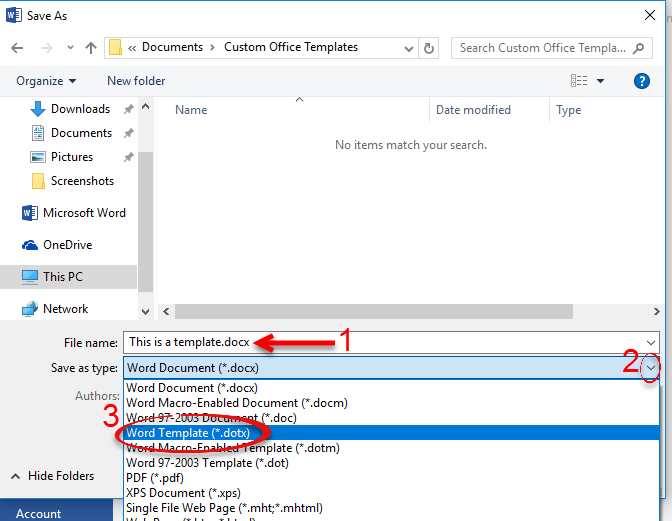 Step 4:Rename your file, then click the drop-down menu and select Word Template (*.dotx). 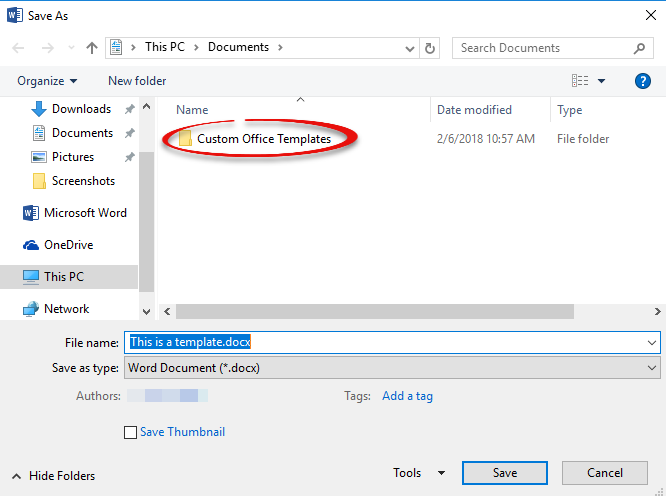 If you can't find the Templates folder when you go to save, you will have to show the hidden folder. 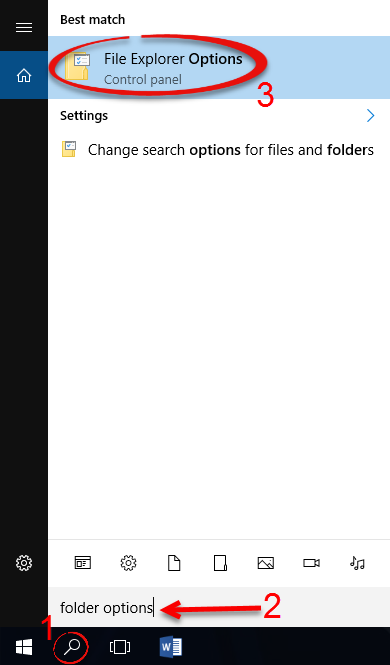 Step 1:Click the search icon on the taskbar and type in "folder options," then click File Explorer Options. 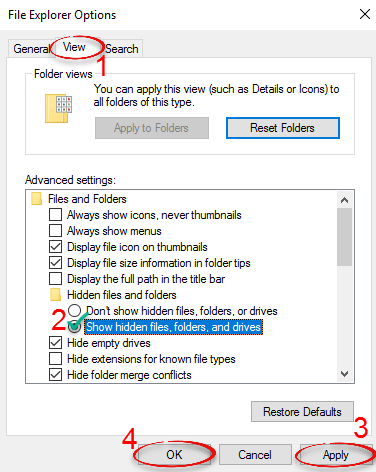 Step 2:Click the View tab, and check Show hidden files, folders, and drives. Click Apply, then OK. Step 1:Open a new Word file, and click Personal. Step 2:Your template is ready to use.